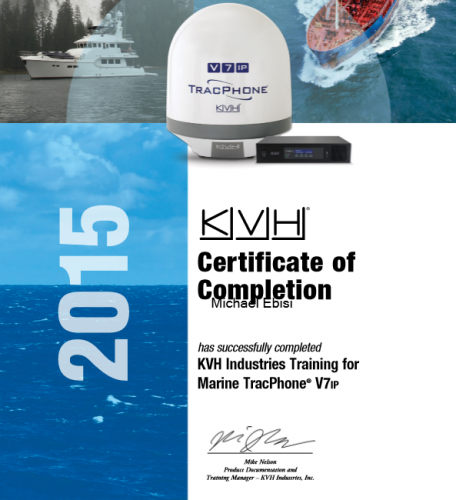 In the bid to position SSSL as the front runner in the offshore communications product support business, the company has put 3 more technicians through KVH’s V7 IP training. At SSSL, we aim at providing the best marine and terrestrial communication systems/product support in Africa. We are professionals with a passion for communications systems, a commitment to professionalism and high standards of work.